As workers prepare to haul Nice Ride Minnesota's bikes away to storage for the season, the Twin Cities bike-sharing program is reporting a 30 percent surge in growth. The program's continued success could open the way for a winter bike-share program in the future. Executive Director Bill Dossett said there were about 409,000 trips taken on Nice Ride's bright green bikes this summer, as compared to just over 308,000 last year. "Our goal really is to make cycling mainstream in the Twin Cities, so the trips really matter to us, because there's a big investment in these bikes," Dossett said. "But what matters most is the attitudes towards cycling, and on that account, we have really accomplished something big over the last couple of years." 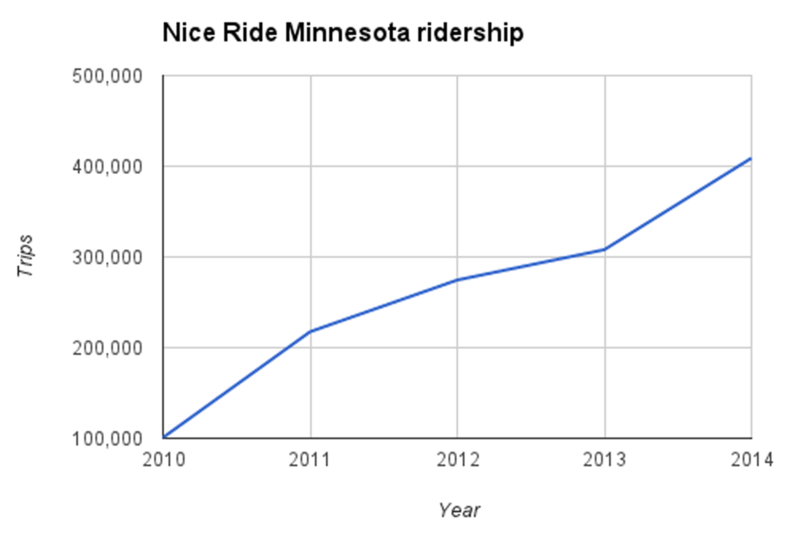 In the program's first year, which started in mid-June 2010, there were just over 100,000 rides taken on Nice Ride bikes. The program has expanded significantly since then, although it didn't add any more bikes or stations in the last year. Nice Ride's season ended Sunday night. Workers on Monday will start hauling bikes away from stations located all over Minneapolis and St. Paul. Crews will disconnect solar panels and wiring, and the equipment will be stored at Nice Ride's headquarters in the Seward neighborhood of Minneapolis and at the Minnesota State Fairgrounds. But the system's success during the summer could bode well for winter riders. Nice Ride staffers are looking at ways they could possibly continue to offer some bikes during the winter, Dosset said. 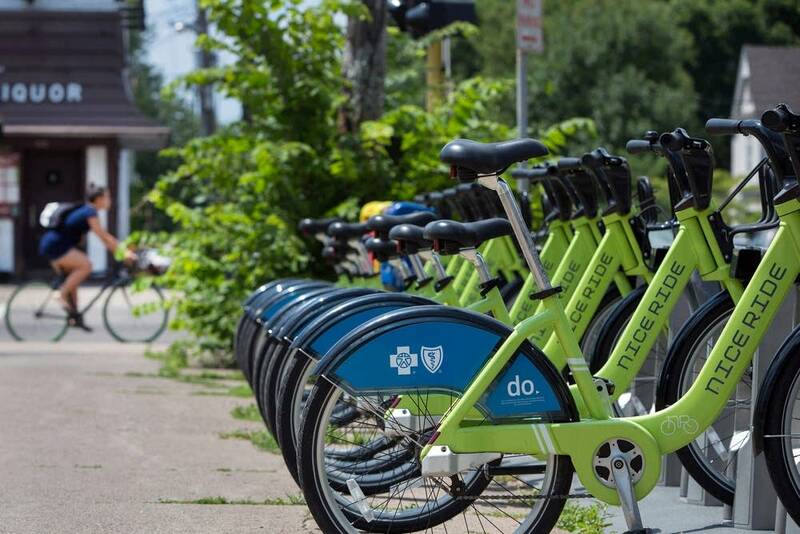 Dossett points to a new bike-share program in Chicago that operates year round as a possible model for a winter program in the Twin Cities, although winter bike-share programs have lower ridership numbers and lead to more wear and tear on the bikes themselves. "One of the things we would like to do is come up with a custom design winter bike before we would go forward with something like that in Minneapolis, where our winter conditions are really a lot tougher than other places," Dossett said. Nice Rides are scheduled to return to Twin Cities streets in April, assuming the snow banks are melted by then.